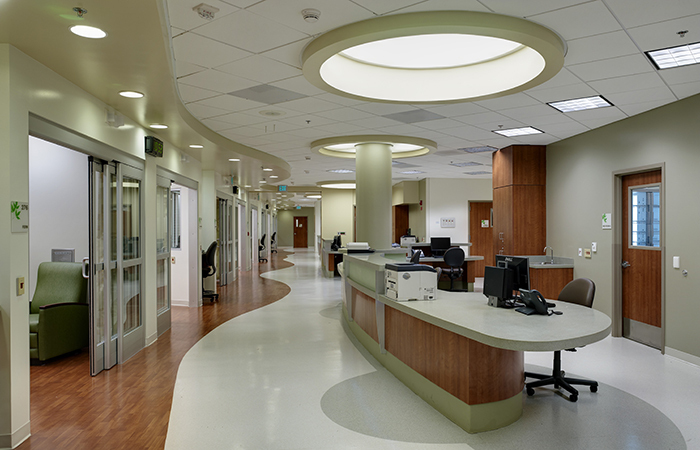 A new 18 bed ICU Suite has curved forms which soften the area and a warm color palette to provide a more aesthetically pleasing environment. The suites are arranged to maximize exterior windows. 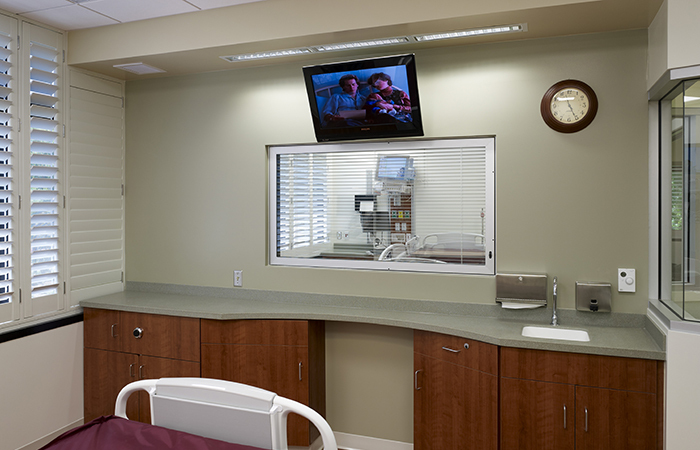 Organically shaped nurse’s stations are centrally located allowing visibility of multiple patient rooms, with sub nurse stations between rooms. 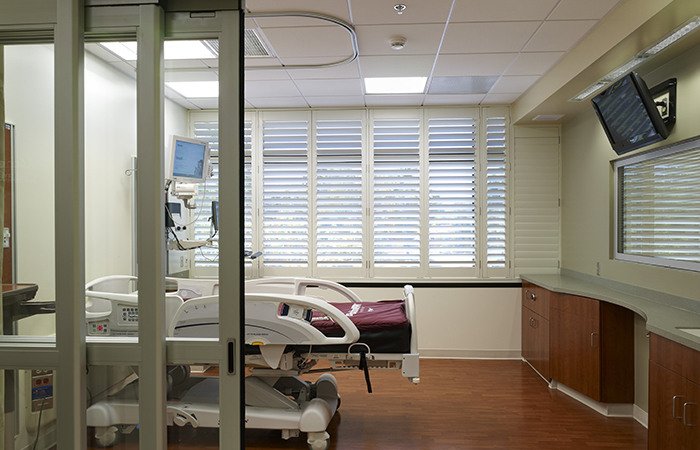 Each suite has three paneled doors accomodating a wide range of equipment and space for visiting family members. The new space has natural earth tones complemented by natural-looking finishes and lighting.